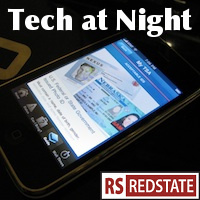 Tech at Night: FCC leaves the lights on. Snowden and Greenwald want us to stop trying to break Tor. This is a really late Friday tech. Enjoy anyway. There’s not a lot of government policy stuff going on right now in DC, thanks to the shutdown, but at least we’re spending money keeping the lights on all night at the FCC. A cell of Anonymous anarchists tried to “pay back’ Hollywood for getting The Pirate Bay, but it is they who are paying the price. Ruining your life because you want to download free stuff on the Internet. Heh. The fact is, it would be to our benefit to be able to listen in on Tor. Privacy is good, but anonymity is a tool of evil and of our enemies. Just ask yourself why there’s a push by traitor Ed Snowden and the Glenns Greenwald spy team to discredit Tor attacks. A good reason for them to do this is that they’re afraid and want us to get the government to stop trying. Keep in mind the last time we let Ed Snowden have anonymity, he used Lavabit to betray America. I may have linked this before but we need to get government out of radio-music licensing, not increase regulations to benefit firms like Pandora. The Free Market Royalty Act is a good idea. It looks like the Obama FCC rigged an auction for the H block of spectrum. I already said this with respect to Google, but it’s also true of Yahoo: email scanning is NOT Wiretapping. These insane people with their ridiculous lawsuits are trying to ban virus and spam scanning, do we realize this? Moe Lane says there’s no magic bullet for anonymity, and I say there shouldn’t be. In a free society, actions must have consequences. This is how you do it: Texas will cut other taxes if they can start collecting sales tax more broadly through some sort of new law.